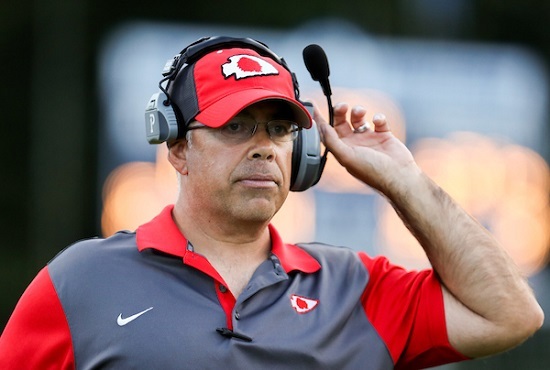 Last year, when John Cole needed a volunteer coach on his staff he found the person in arguably the best quarterback in Bridgeport’s history in Robert Marra. When Marra left, as he said he would after one year of helping, Cole needed to fill the volunteer spot again. Cole has officially found his man. And once again, the person he found comes as one of the top quarterbacks the Indians have had in the past 20 years and beyond. Earlier this week, 2008 Bridgeport High School alum and former standout signal caller Sean Snider was approved as the Tribe’s volunteer assistant coach. Snider, it’s very possible, could be around for a few years or longer in the volunteer role and Cole is happy to have him. Not only does Snider understand the BHS system and the Indians football culture, but he understands something else. Snider understands exactly what his new football boss – Cole – expects out of him. Cole said he fondly remembers Snider’s time with the Indians when he coached him. In Bridgeport’s almost exclusive running system, Snider still managed to post some of the best numbers since 1997 through the air. The 1997 time frame is when current “Voice of the Indians” Travis Jones with the help of others – most recently Ryan Nicewarner – began tracking the statistics for the Tribe and they are spot on accurate. During Snider’s three years, no one since 1997 has thrown more touchdown passes. Snider’s three-year totals included 1,118 yards passing with 13 touchdowns. Zach Spurlock also threw for 13 touchdowns during his time with the Tribe. Only Adam Klenk threw for more yards than Snider during the last 20-plus years. One other thing about Snider’s numbers that should be noted. They came when BHS competed in Class AAA. Snider’s availability has nothing to do with him out looking for something to do. Rather, he’s recently came back into town and the family business he’s working for is allowing him to spend the time needed to work with the Indians. Snider recently moved back to Bridgeport after living in Morgantown for the past few years earning a living in the oil and gas industry. 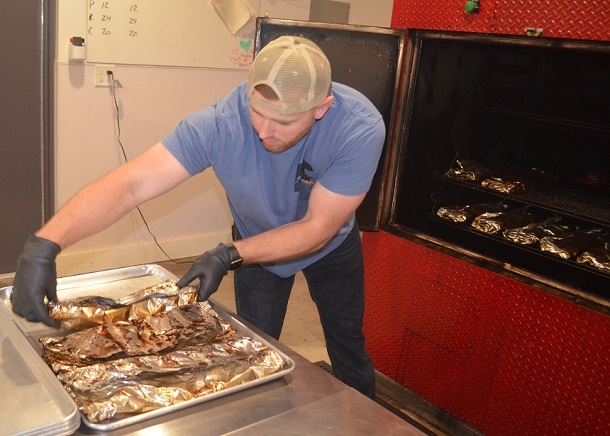 When Tyson Oakman and his wife Susan Snider Oakman (his uncle and aunt) opened their new – and thriving – business on East Main Street a door opened that allowed him a chance to return home. He’ll be interacting with a whole lot of people at BHS. Cole said he’ll be working with the quarterbacks on offense and also have defensive responsibilities as well. For those worried this is Snider’s first coaching rodeo, you can relax. He’s coached at the prep level before. Cole said what makes him happiest is that Snider took this one despite having – pardon the pun – a full plate with his new job. He said that lets him know Snider really wants to be there. Snider said, ideally, he’d enjoy being a full-time coach. However, he said his career doesn’t allow it so he’s pleased to have this chance to serve as a volunteer. As for Cole, he’s already happy about the situation months before the first ball will officially be snapped on the 2018 season. 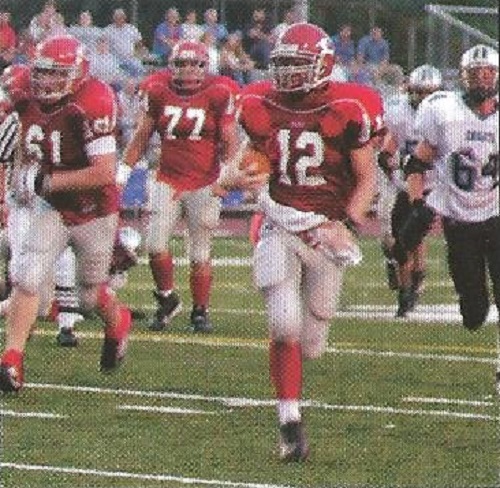 Editor's Note: Top photo is from the 2007 and the 2008 Ki-Cu-Wa Yearbook showing Snider rushing up field for yardage in the photo provided by Mrs. Alice Rowe of the Bridgeport High School journalism department. 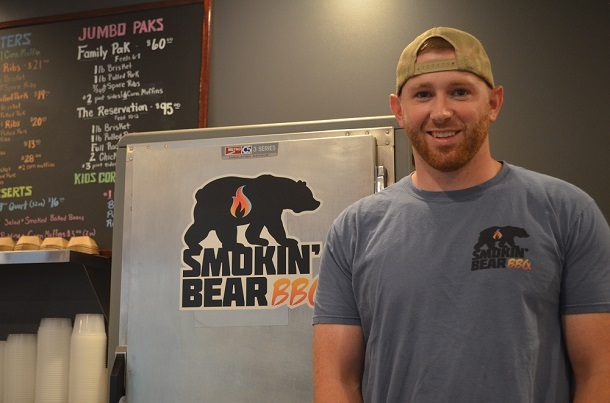 Second two photos show Snider at his full-time job at Smokin' Bear BBQ on Main Street. Bottom photo, by www.benqueenphotography.com, is of Coach John Cole.